Dear secret admirers, friends and members of the Mahurangi Cruising Club, best wishes for a happy New Year on the water and elsewhere. We have considered all your recommendations and you will find them integrated into the structure of the 2018 Mahurangi Regatta. Thank you everybody. Our yearbook expands both in volume—almost 100 pages this year—and in demand. The yearbook team of Lyn Bergquist, Kelly Grove-Hills, Victor Hopwood and Martin Farrand, and Stephen Horsley and Hugh Gladwell in the near past, have continued the tradition founded by the first editor Ian Free, and have gradually brought the yearbook to a world-best standard. 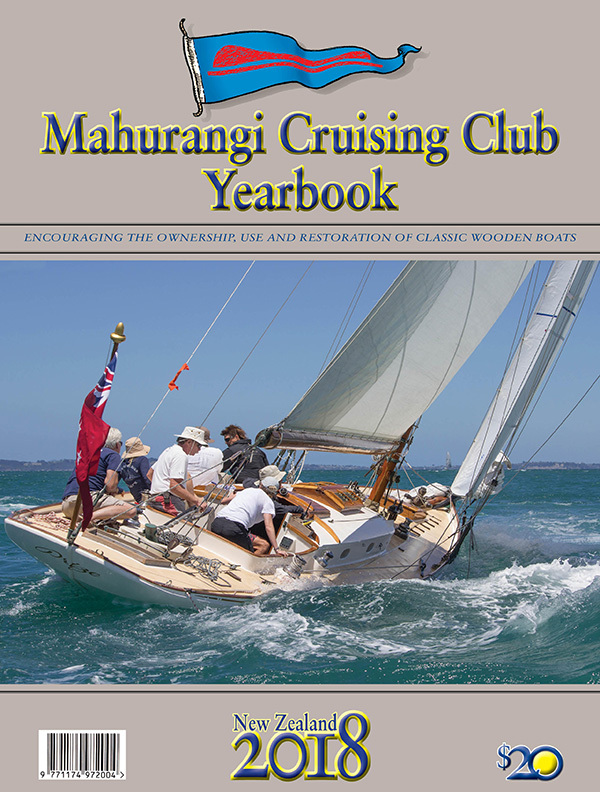 Not have only the volume and the quality of the Mahurangi Cruising Club yearbook amplified; the cost of its creation has expanded too. The sell price was not adapted for many years and gradually the financial aspect of this exercise became more and more concerning to our committee members. Therefore, this year, the yearbook is priced at $20, for the general public. A 25% discount—i.e. $15—is available for all members, who have registered to participate in the 2018 Mahurangi Regatta. “Registered Participant” means a participant, who has submitted an online entry via our website either for racing in any of the eight yacht divisions, or for participating in the classic launch parade. The Mahurangi Regatta enjoys growing popularity with more spectators and more boats joining every year. This is great and we love it, but it also requires extra work and funds, and efficiency in the administration. We believe that these aspects have improved as a result of the extended collaboration with likeminded individuals, businesses and sailing organisations. Our website and the MCC Facebook page have facilitated our communications. Some of you are familiar with both and have found them suitable platforms for sharing ideas, news and for organising sailing events. We used online entries for our Spring Splash Rally and it worked. Encouraged by that, our ambition now is to adopt complete online processing of the pre-regatta administration, while leaving the traditional options still open. You see, we do all this to save precious time at the event—time we can spend chatting with buddies, making new friends and sharing gossip and drinks. You can greatly help us—and please do so—by submitting your entries online. post entry form—available on our website—to PO Box 555, Warkworth 0941 by 20 January, latest. email entry form to Svetlana Pencheva: sbpenchevs@yhoo.co.nz by 20 January, latest. 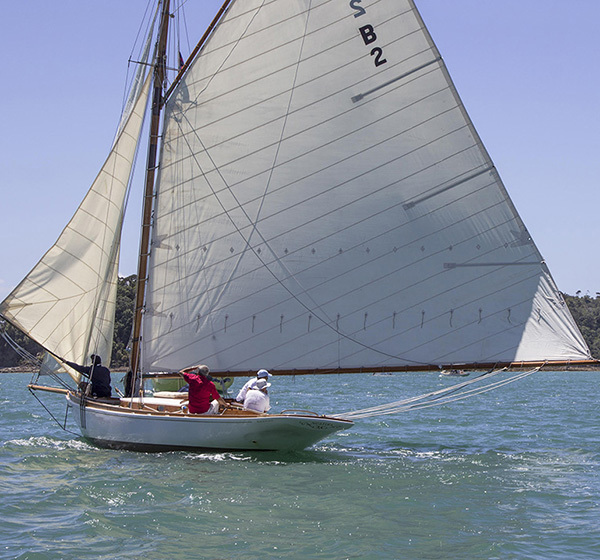 last-minute entry at Sullivans Bay on Saturday 27 Jan. 9–11.30 am; in gale easterly conditions—at Scotts Landing. Whatever form of entry you choose, please have a representative at the Mahurangi Action entry tent! They will collect your yearbook and will check for last-minute amendments and perhaps buy a t-shirt, or a 2018 Mahurangi Cruising Club calendar, and maybe more. The Mahurangi Cruising Club and the Classic Yacht Association are keen to make the 2018 Classic Launch Parade the best and biggest that Mahurangi has ever seen. We will have a dedicated Classic Yacht Association photographer, and he and Lyn Bergquist will be taking images of your gorgeous vessels, and we will also have an expert on hand, to announce you, as you pass close to the shore. And, as you all look so amazing, we have set aside pages in the next Mahurangi Yearbook to feature the Launch Parade, plus any suitable articles you may like to submit to our Editor, Kelly Grove-Hills. Her contact details are below. To help us achieve this, can you, please, let Joyce know at: admin@classicyacht.org.nz, or call Joyce at: 021 818 448. We will send you the meeting place and time—it is usually around, but no later than, 10 am at Scotts Landing, but we will confirm this. Why a $15 entry fee for the classic launches? The launches that have entered online, and have paid the $15 optional entry fee, will receive in return our 2018 yearbook. We will also provide, in our next yearbook, more dedicated pages for the classic launches to publish articles and photographs. The event is growing fast and becoming more expensive. The combined cost of the shoreside events—organised by Mahurangi Action, and the sailing events—organised by the cruising club—was more than $34 000 in 2017. To be able to meet the expanding financial demand, and to run the Mahurangi Regatta in the future, we need to continue to develop a sustainable business plan, and the minor changes you see this year are part of this plan. See you at Mahurangi, where for one day on water and sailing, the gods require many days work on Earth.